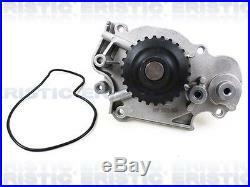 Timing Belt Water Pump Kit Valve Cover Gaskets 93-01 Honda Prelude 2.2L H22A1. 93 - 01 HONDA PRELUDE H22A1 H22A4. 2.2L DOHC 16V VTEC. 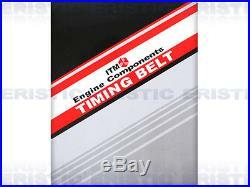 TIMING BELT WATER PUMP PLUS VALVE COVER GASKET KIT. 1993 - 1996 HONDA PRELUDE Si VTEC 2.2L L4 DOHC 16V, ENG. 1997 - 2001 HONDA PRELUDE TYPE-SH VTEC 2.2L DOHC L4 16V, ENG. 1 Water Pump w/ Seal. 4 Spark Plug Tube Seals. 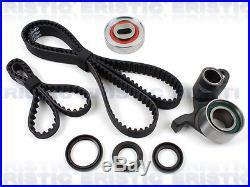 This kit includes all the necessary parts to complete a timing belt / water pump replacement. THE TEAM ARE HAPPY TO HELP. &###x200B;&###x200B;&###x200B;&###x200B;&###x200B;&###x200B;&##x200B. Discount for multiple items is available. We strive to provide 5-star customer service. Opened or installed parts will not be accepted. The above limitations may not be applicable in your states. We are here to help you. 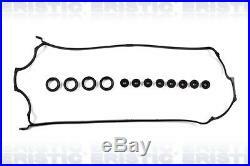 CODE "H22A1" ---1997 - 2001 HONDA PRELUDE TYPE-SH VTEC 2.2L DOHC L4 16V, ENG. 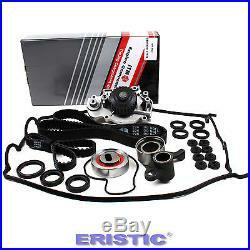 CODE "H22A4" PACKAGE INCLUDES ---Timing Belt ---Balance shaft Belt ---Timing Belt Tensioner ---Balance shaft Tensioner ---2 Cam Seals ---1 Crank Seal ---1 Water Pump w/ Seal ---1 Valve Cover Gasket ---4 Spark Plug Tube Seals ---8 Grommets SPECIAL FEATURES ---This kit includes all the necessary parts to complete a timing belt / water pump replacement. 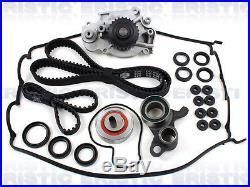 The item "Timing Belt Water Pump Kit Valve Cover Gaskets 93-01 Honda Prelude 2.2L H22A1" is in sale since Saturday, May 04, 2013.